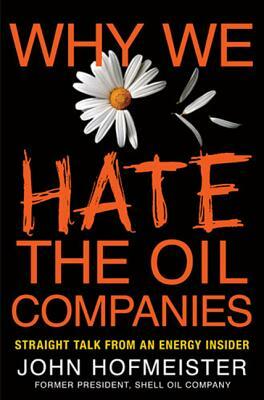 John Hofmeister joined Shell Oil in 1997 and served as its president from 2005-2008, following twenty-five years in major energy consuming companies, including GE, Nortel and AlliedSignal. He is now the chairman of the board of the National Urban League and founder of the nonprofit Citizens for Affordable Energy. He has appeared on the Today Show, Meet the Press, and other major news shows, and continues to be sought out as an expert on energy issues by media including CNN, CNBC, Fox Business Today, and Bloomberg, among others. He lives in Houston, TX. “Provocative….Insightful….Stimulating….See the alternative view of an insider! Share his outrage.”--Ram Charan, bestselling co-author of Execution and author of What the CEO Wants You to Know"